Announced at the New York motor show, a recent deal between Jaguar Land Rover (JLR) and Waymo sees the car manufacturer supplying up to 20,000 of its new electric I-Pace cars to the autonomous vehicle subsidiary of Alphabet. With this deal, worth over $1.6 billion, Waymo will be able to incorporate self-driving technology into the electric vehicles for its ride-hailing service. 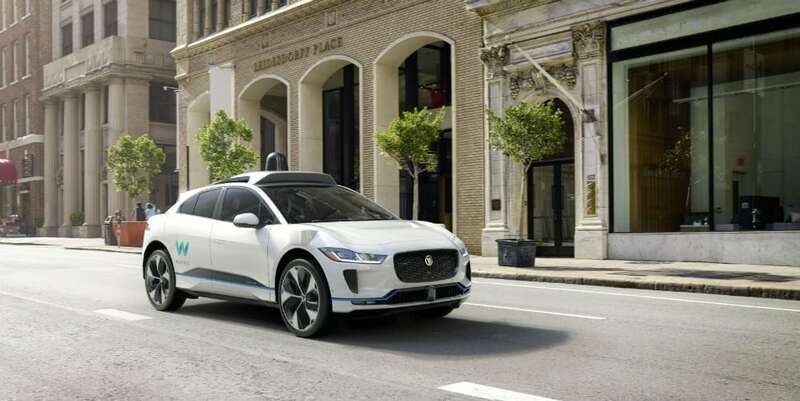 The manufacturer claimed that the deal would be “a long-term strategic partnership” to develop the world’s first premium self-driving electric vehicle. The teamup looks to be mutually beneficial, assisting Waymo in the race against Uber and others to develop a driverless ride-hailing service as well as boosting Britain’s largest car manufacturer as JLR takes its first steps into electric vehicles. With the new influx of 20,000 cars, Waymo will be able to ramp up to one million trips per day over the next two years. The testing of the vehicles will start in Arizona later this year. However, this expansion comes in the wake of the autonomous Uber car accident that killed a pedestrian in Arizona last week. Following the accident, Uber suspended the testing of autonomous vehicles in Arizona and will not renew its driverless car permit in California. In addition, Nvidia, which supplies chips for Uber’s self-driving cars, and Toyota have also suspended the testing of autonomous vehicles on U.S. public roads. Waymo CEO John Krafcik, however, seems unphased. Regarding the accident, Krafcik claimed to Forbes, “We’re very confident that our car could have handled that situation … We know that for a lot of different reasons. It’s what we have designed this system to do in situations just like that.” This newfound — and understandable — hesitation from Waymo’s self-driving competitors leaves the company as the only one with a fleet of fully autonomous vehicles on U.S. roads. This confidence is exemplified in the fact that Waymo’s vehicles don’t even have front seats. Currently, Waymo is on track to launch the first robotic taxi service, where members can hail cars via Waymo’s app, by the end of the year. When questioned about the safety of these vehicles, Krafcik cited the extensive testing and number of miles Google and Waymo have invested in autonomous vehicles, reports The Verge Senior Transportation Reporter Andrew Hawkins. Consumer confidence is obviously vital here if autonomous vehicles are to become the way of the future. And, without further setbacks, it appears Waymo is on course to lead the driverless charge.